TWO HARBORS — Prepare to break out pirate lingo and plan for a day full of treasure hunts, sea roving costumes and more on the weekend of Oct. 4. Two Harbors, Catalina’s small hideaway on the Isthmus, will host its 29th annual Buccaneer’s Weekend. 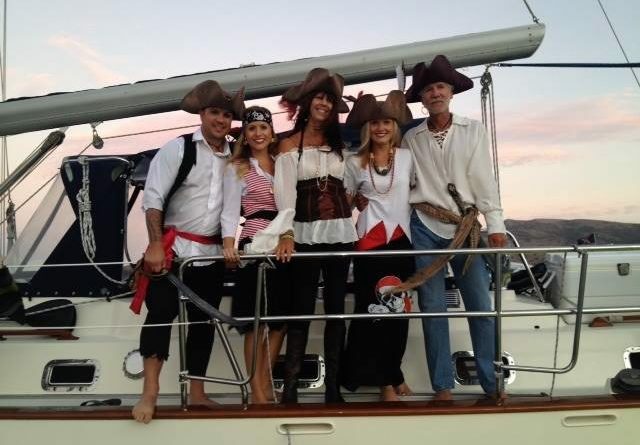 Described as a “legendary four-day private party” by Catalina Island Company, Buccaneers Days will take place over four days from October 4-7, and will include camping, live music, costume contests, multiple bars and fun in the sun. Live performances will be provided by The Humble Hooligans, Young Guns, Dollface and Safety Orange. DJ Michael Basic and DJ Splyce will provide tunes during the daytime and night. Boaters can reserve their moorings online at for Buccaneer Days starting at 10 p.m. on Thursday, Oct. 4. To take advantage of mooring services, a minimum of three days reservation is required. For those traveling without a boat, Catalina Express ferries and Cyclone boats will be running. A variety of camping and “glamping” (luxury camping packages) are provided through Catalina Island Company. Tickets can be purchased online and are $30 per person on Thursday; $40 per person on Friday and Saturday; and, complimentary entry on Sunday. For all four days, the price is $50. VIP upgrades, including reserved access areas, a private bartender, Pirate Booty Swag Bag and complimentary water and light snacks is $65 per person each day. Attendees can pick up tickets at the Visitor Center upon arrival. To learn more about Buccaneer’s Weekend, visit the website at visitcatalinaisland.com/event/buccaneers-weekend-2018.